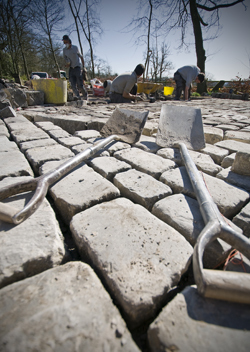 G.W.H Paving Services, of Derbyshire was established in 1991 and can design and build individually styled Driveways in South Normanton, for domestic or commercial properties. We work with a selection of materials including natural sandstone, granite, limestone, slate and granite in the South Normanton area. A selection of the designs for South Normanton can be found by clicking on the links above. 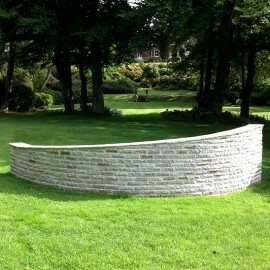 We hope this will give you an idea of what can be achieved for a large open area right down to a small walkway. 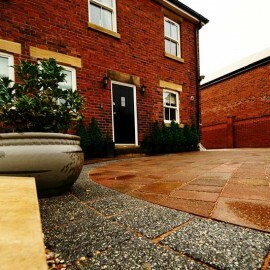 Our Driveways in the South Normanton area are individually designed to blend with the age and style of your property and surrounding gardens. If you like the look of our work, please contact us for our advice and to arrange for a no obligation free estimate for your new Driveway South Normanton. 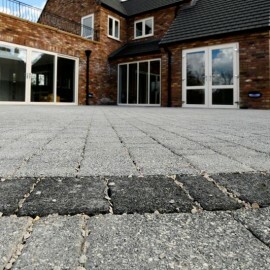 Our Portfolio is updated on a regular basis so check back soon for more new patios and driveways. The products we use for our Driveways in the South Normanton area are from top manufactures such as Marshalls, Plaspave, Stonemarket, Bradstone and Brett to name a few. 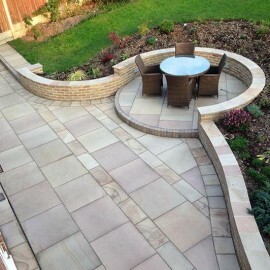 All of the Marshalls products come with the added bonus of an optional 10 year guarantee. Our updated website now contains our latest portfolio of driveways, patios and walkways of our work in the South Normanton area. We hope to hear from you soon to and look forward to helping enhance your South Normanton property with a G.W.H Designed Driveway. Images Note: All of the images on our website are of actual GWH projects and are taken by our own photographer. Unfortunately, some less scrupulous ‘traders’ have been using our photo’s and claiming them as their own work. To prevent this plagiary, we are now forced to watermark our photos. We do have an album of original photo’s which we are more than happy to show to prospective clients.